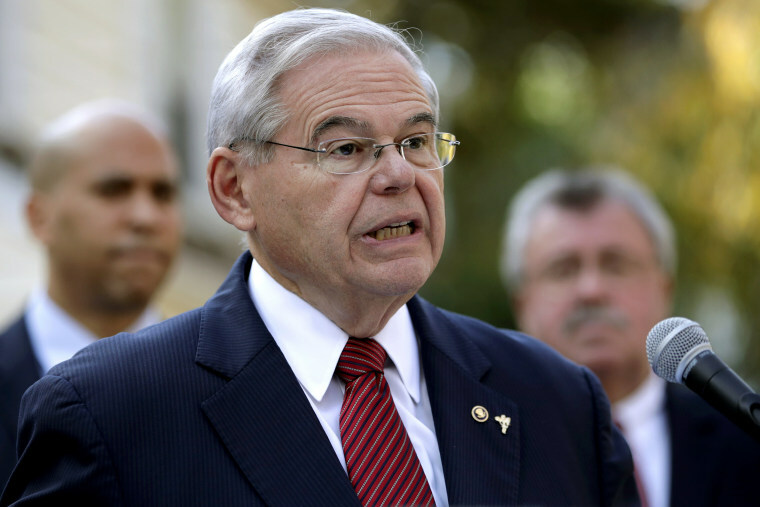 NEWARK, N.J. — A juror who was excused from the bribery trial of Sen. Bob Menendez on Thursday gave a glimpse into deliberations, saying most jurors favor acquittal and that she would have cast a not-guilty vote for the New Jersey Democrat on all counts. Evelyn Arroyo-Maultsby spoke outside the courthouse after the jury was unable to reach a verdict after three full days and part of a fourth. The judge in August approved her leaving by this week because she had a trip planned for a family wedding. "I think the defense showed me enough to say he's not guilty on every count," she said. One juror was pushing strongly for an acquittal, she added. Arroyo-Maultsby was replaced by an alternate, and jurors will resume deliberations Monday, though the judge said they must start over with the new juror. Alternates sit with the rest of the jury during the trial and hear all evidence and testimony but do not participate in deliberations. Menendez and Florida eye doctor Salomon Melgen are charged with a bribery scheme in which Melgen allegedly bribed Menendez with trips on his private jet and luxury vacations so Menendez would lobby government officials on his behalf. "They are friends. If I was rich and I had a lot of money and I want to take my friend somewhere, why can't I?" Arroyo-Maultsby said. The jury began deliberating late Monday and has put in about 15 hours during three-plus days. "I have faith that, when the new juror takes her seat on Monday, as I've had faith from the first day of this trial, that she will join with the others in finding us innocent of all the charges," Menendez said outside the courthouse. Both men say there was no bribery arrangement. The jury is considering a total of 18 counts — both men are charged with conspiracy, violating the Travel Act, three counts of honest services fraud and six counts of bribery. Menendez also is charged with making false statements by omitting Melgen's gifts from his Senate disclosure forms. Prosecutors contend Melgen made Menendez his "personal senator," available during a seven-year period as needed, such as when Melgen was embroiled in an $8.9 million Medicare billing dispute. Defense attorneys say the gifts were part of the men's longtime friendship and that Menendez's meetings with government officials were focused on broader policy issues, not specifically on Melgen's problems. Neither man testified during the trial, leaving jurors to rely on emails and witness testimony to assess what their intentions were.